An awe-inspiring statement piece. As a part of Swarovski’s Crystal Paradise collection, this sparkling pair of parrots is inspired by the rainforest. The bird couple stands for emotional bonding and shimmers in a multitude of blue tones. 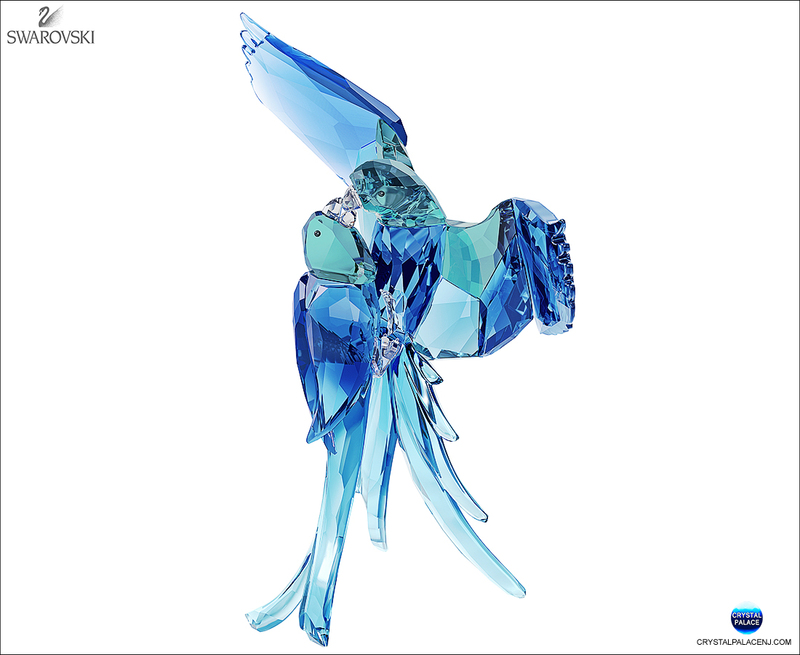 The Blue Parrots also represent an important milestone in innovation, as Swarovski’s first ever large pair of birds crafted purely in crystal with no metal stand.